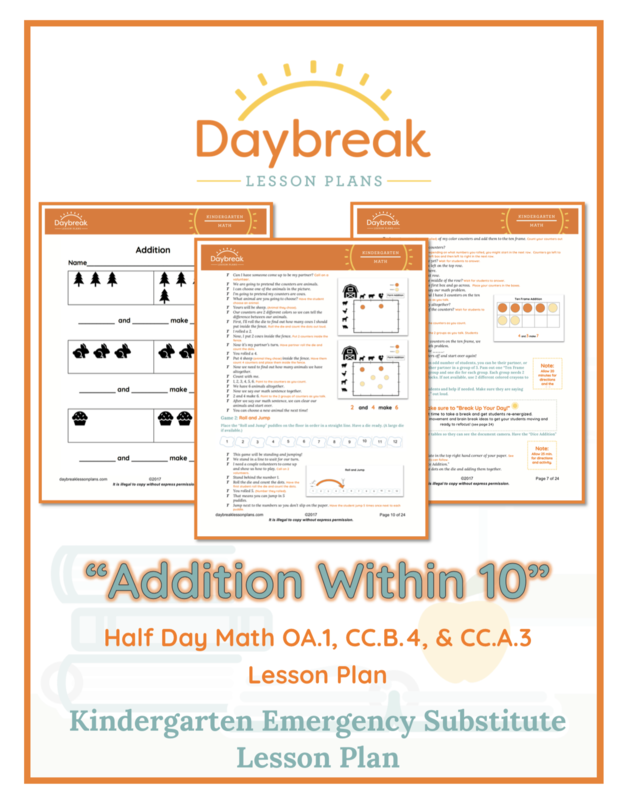 This half day of lesson plans is broken down into 3 separate segments (45-60 minutes each) addressing addition within 10 (K.OA.1). 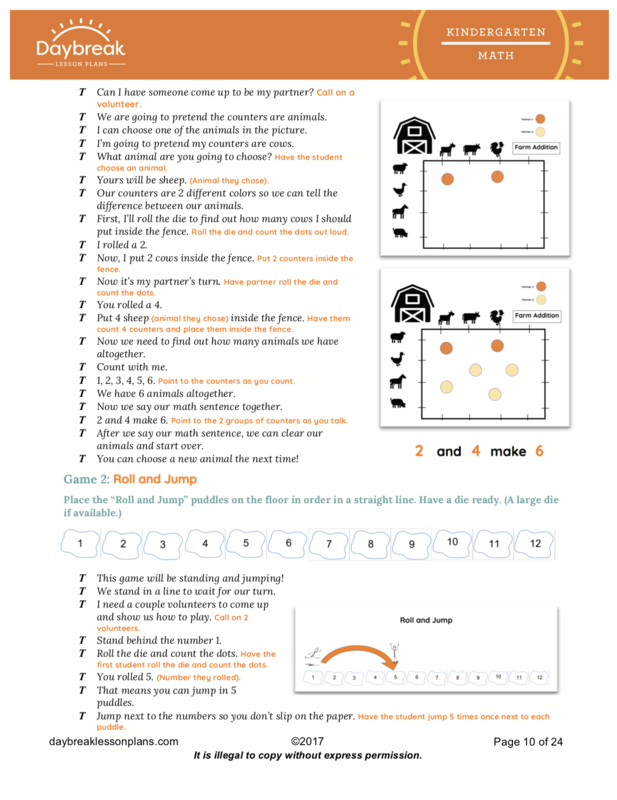 These lessons include: practicing addition within 10 in a variety of ways and concludes with some games to reinforce the skill. 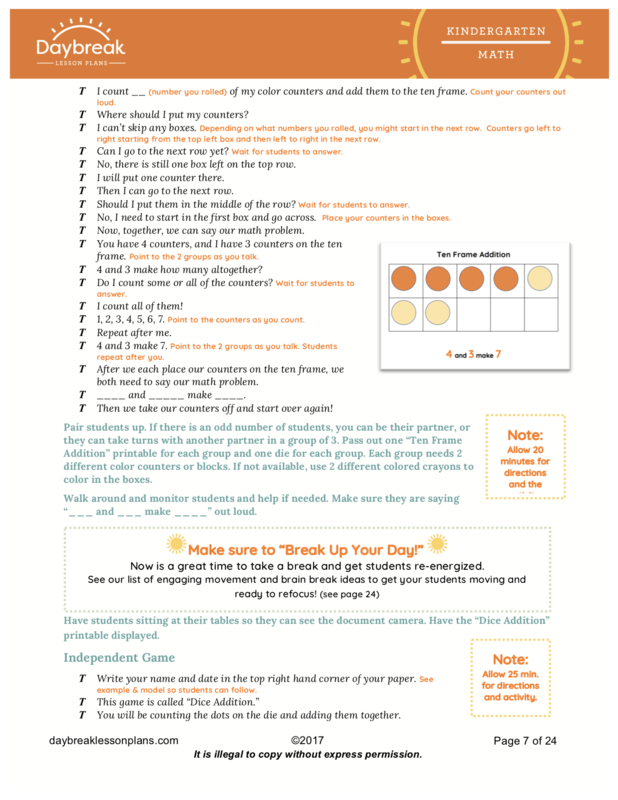 Segment 1: Students will add two groups of items together by acting out the addition problem, drawing pictures and counting objects. 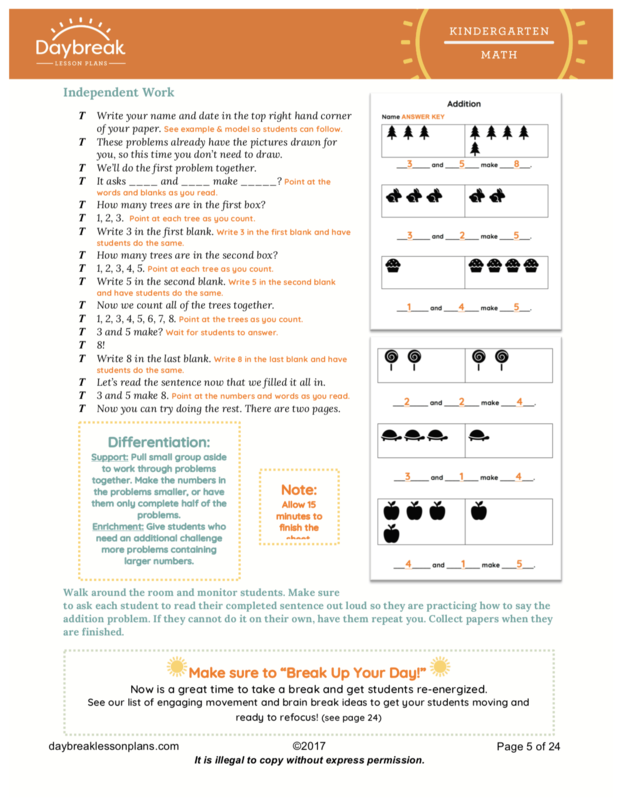 Segment 2: Students will add two numbers together by counting boxes in a ten frame and counting dots on dice. Segment 3: Students will play games where they will add two numbers together by counting objects, hopping on a number line, building towers, and coloring boxes.